VARIOUS ARTISTS. Across Their Universe. Glenn Williams, Tim Casey, et al. Available through www.lowbudgetrecords.com. You really have to listen to this CD twice, the first time rapidly followed by the second. Why? There's always the initial shock of hearing a well-known song covered by someone else. You may say to yourself, "It doesn't sound like the artist who originally covered it!" Only when you hear the songs a second time do you begin to allow for an artist's original interpretation. Over the years there have been many Beatles tribute albums by "various artists," but none like this one. It is funky, bluesy, gritty, and, above all, inventive. The title cut, sung by Tim Casey, manages to channel John Lennon’s voice in an eerie way, British accent included. I like the use of “BBQ racks” and clocks. One of the CD’s surprises is Glenn Williams playing “Honey Pie” on ukulele—a perfect instrument for this song. Why didn’t the Beatles think of it? Williams, in forging his own approach to this song, actually enhances the retro sound the Beatles strove for on The White Album. “Don’t Let Me Down” by Bird Mancini dips deeper into the blues trough than the Beatles ever did. (I always thought Lennon strained his voice a bit in this song.) Peter Daly’s “Tell Me Why,” an early song from Hard Day’s Night, has Daly’s killer harmonica accompaniment, adding an intriguing layer of funk. I’v never been sure about “Revolution 9”: it always seemed like a failed experiment by John and Yoko, their earnest attempt to top the brassy attitude of John Cage or Edgar Varèse. That said, Chuck U’s 7-minute cover (called “Revolution #9.5” here) is every bit as good as the original. “A Day in the Life” is a delight and feels right in its approach to the song’s crescendos and mystery-- until that final famous E-Major chord is interrupted by applause. Ah, the perils of live recordings. If you like gravelly voices like I do, proceed directly to Alan Abate’s “She’s Leaving Home” and T. Max’s “No Reply.” Max offers a highly individuated take on this song, which is significantly slower than the Beatles' version and may even be revealing scars from the barbed arrows of experience. I love Thea Hopkins’ “Fixing a Hole,” which displays an edgy attitude I never knew the song had. Another pleasant cut is “I Will” by the velvet-voiced Mitch Golner. Bonnie Gordon does a good job on “Eleanor Rigby” with Tim Casey adding bizarre touches with tubular bells and theramin, instruments not in the original but ones the Beatles may have approved of. There was a real Eleanor Rigby, by the way. She died in London on 10 October 1939 at age 44. Recently a 97-year-old salary register from Liverpool City Hospital with the name E. Rigby was sold at auction for $250,000. What a world. This CD is a must for all Beatles fans. GLENN WILLIAMS. Breathing Freely. Glenn Williams, guitar and vocals, with Andy Hollinger, Ramona Silver, Eliud Herrera, Tim Casey. Available through www.lowbudgetrecords.com. 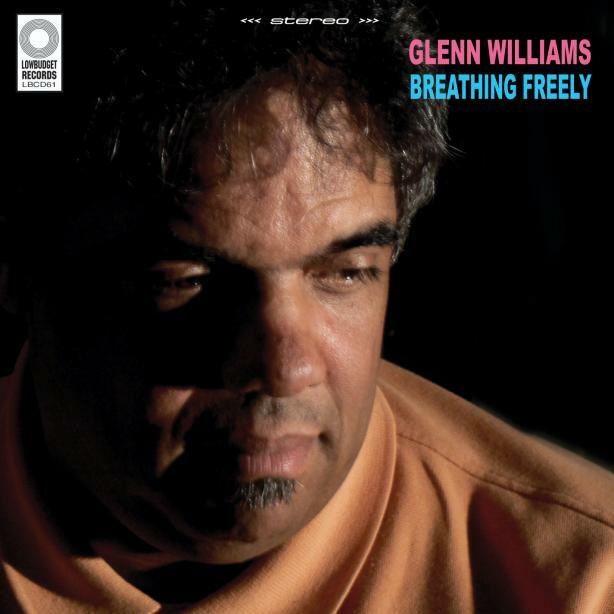 People like to speak of debut CDs as showing a “promising singer.” But Breathing Freely by Glenn Williams does more than that: it spotlights one who’s already arrived. He sings well with a distinctively friendly (and sometimes ironical) voice. He plays a panoply of instruments: guitar, ukulele, mandolin, bass, and percussion. And he writes. In fact, he wrote most of the songs on this CD and they are as good --and in one case, even better-- than the covers he plays. These songs are notable cuts: “Back Home” is a lively opening number with a dynamic accompanying chorus. “I Remember” is also perky, with a sophisticated rhythmic sense and catchy instrumentation. “It’s True” is a clever tune with stunning guitar work by Andy Hollinger and some deftly engineered overdubbing. “The Other Side of Town” wears its Latin sound proudly, thanks partly to the talented Eliud Herrera on nylon guitar. Of course Williams sings with impressive intensity on all. “Because of You” is a pleasant ballad with a startling (uncredited) whistling solo at the end. Is it Williams? I loved his cover of “Shadow and Jimmy,” one of Elvis Costello’s most poignant songs. “Just Us” is a duet with Boston native Ramona Silver, an excellent choice because the two complement each other’s vocal ranges well. “Suzanne” (no, not that one!) is a totally involving number with a subtle country rock feel to it. I defy anyone to walk out of the room while it’s playing. “Freely Breathing” is primarily an instrumental with vocalise accompaniment, some of which borders on the downright eerie. And I’m very glad to hear Martin Mull’s “They Never Met,” one of Mull’s funniest songs (right below "Jesus Christ, Football Star"). It takes a witty man to pay tribute to another so witty. If you’ve haven’t noticed a pattern in these descriptions, I’ll spell it out for you. A key facet of Williams’ talent is collaboration: finding the right people to accompany him, help arrange his work, (possibly) even give suggestions on the song writing itself. It’s a foolish performer who creates in a vacuum. The savvy one picks the right people to help produce and refine the work. This strategy ought to take Glenn Williams far in the coming years. You can sample some of Glenn’s tunes at his MySpace page. BOB DYLAN. 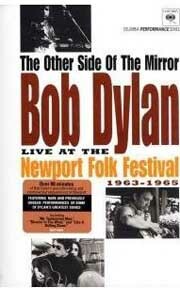 The Other Side of the Mirror: Bob Dylan Live at the Newport Folk Festival 1963-1965. Bob Dylan: Guitar and vocals, with Joan Baez, Peter, Paul, & Mary, Johnny Cash, The Freedom Singers. Bonus feature: Interview with Lerner. Not to be confused with Stevie Nicks’ CD The Other Side of the Mirror, this DVD is a real time capsule, even more so than Martin Scorsese’s No Direction Home by or D.A. Pennebaker’s Dont (sic) Look Back. In this DVD, there is mostly raw footage of Dylan singing as he changes radically from year to year in appearance and attitude. There is the Bob Dylan of 1963, earnestly singing Blowing in the Wind with Joan Baez, Peter, Paul, and Mary, and The Freedom Singers, holding his head high and thrusting his chest out as if confronting police in a lofty & nasty demonstration. For better or worse, fans would never see that Bob Dylan again. The next year he was the inwardly-turned young poet, still singing anthems like Chimes of Freedom, but introducing future folk rock like the feisty It Ain't Me, Babe and that haunting paean to youth, Mr. Tambourine Man, possibly top forty’s first song that challenged listeners to interpret its surreal lyrics. Director Murray Learner skillfully creates visual interest by splicing together two performances of With God on Our Side (afternoon workshop, evening performance). He does one slow zoom in that’s quite riveting. And his coverage of the controversial 1965 festival is excellent—were they booing his switch to electric, his poor sound mixing, or the shortness of his set? Emcee Peter Yarrow, visibly distressed at the time, doesn’t know. Even historians of popular music assert that it could have been all three and also that it could have been as few as twenty people (how those boo’s travel!). The sound is splendid mono and the black & white visuals are quite good for 16 mm prints. There seems to be less than a minute or two of scratched film. The Other Side of the Mirror is totally engrossing, even if you aren’t a music historian. It vividly demonstrates that from the very beginning Dylan had a gift for getting himself talked about, confronted, and fawned over. The Byrds Play Dylan. Columbia Legacy. CK 85430. I remember when my college friend Douglas and I first heard the Byrds' rendition of Bob Dylan's "Chimes of Freedom." "'Did he just say "midnight's broken toe?'" I asked, in a marijuana haze. The line actually reads "midnight's broken toll," but even today as I listen, pot-bereft and with a vastly superior sound system, the line still sounds the same. This is one of the many treats contained in this new compilation. Not only does it contain all the Dylan songs released on Byrds' albums, it also features rare singles, such as their version of "Lay Lady Lay" with its execrable back-up singers. (Ironically, there is a more successful "alternate version" recorded the same day, but not released until 1990.) There are the songs that Dylan had not released, such as the melodious "Lay Down your Weary Tune" and the countrified "Nothing was Delivered," with its shockingly flat lyrics. Sometimes the Byrds nailed Dylan's spirit, as in "Mr. Tambourine Man," that still unequaled paen to romantic youth, and "The Times They Are A-Changin," whose instrumentation and propulsive anthem is vastly superior to Peter, Paul and Mary's 1963 version. Other times they couldn't quite match Dylan's sardonic tone, as in "Positively 4th Street" and "It's All Over Now, Baby Blue." Too bad Columbia Legacy didn't include the personnel on each song. In the case of the Byrds, it changed so often. Despite this oversight, this is one of the best sixties song compilations I've heard this year. One of the most intriguing discoveries is the live version of "Chimes of Freedom," not released until 2000 and sung by a world-weary Roger McGuinn without chorus (but with guitar solo). And yes, that toe is still broken. anything anytime anywhere. Bruce Cockburn singles 1979-2002. Rounder Records/Golden Mountain Music Corp. It is difficult to turn this CD off once it's playing. You almost feel like you're silencing a singer whose voice is urging you to do something. Bruce Cockburn is a consummate artist whose music defies pigeonholing into a category, but I'll try. Let's call it commited folk-rock. There is the intensely radical sentiments expressed in "If I Had a Rocket Launcher." I haven't heard a song this angry since Bob Dylan's "Masters of War." However melodic and driving its beat, this song is not your standard top-forty fare. Yet it is engaging and unique, so much so that the US government used it to torment Manuel Noriega when he refused to abdicate. (If they only knew that this is an anti-interventionist song.) "Lovers in a Dangerous Time" has wondrous lyricism as well as poetic lyrics, such as "nothing worth having comes without some kind of fight/got to kick at the dark until it bleeds daylight." Cockburn has the endearing ability to blend a smooth baritone voice with a dramatic sprechtstimme reading style, such as the one he uses in the environmental song "If a Tree Falls." In later years Cockburn, like many of us, has become more contemplative, but his thoughts still strike a universal chord. In "Dream Like Mine," he sings "when you've got a dream like mine, nobody can push you around." It doesn't matter what his dream is (he never says), the complex percussive patterns forge such a convincing unity with both melody and lyrics that the song's truth becomes incontrovertible. Some of the songs are less powerful than others, such as "Trouble with Normal," whose instrumental line tends to obscure the words and "Listen for the Laugh," which has a driving beat and excellent solos, but a repetitive vocal line. The title cut that concludes the disc is a tender love song, but lacks the poetry, ironic commentary, or social awareness of his other love songs. However, in the context of this excellent album, these are merely the "good" songs. If you heard them on the radio, you probably wouldn't change the station. Like the others on this astounding collection, these songs are still compelling and eminently listenable. The following links point to Web sites that contain my classical music reviews. Click Enter, type my name in the box at the top and click Search. Type my name in the Search box and click Go. Goes directly to my reviews.